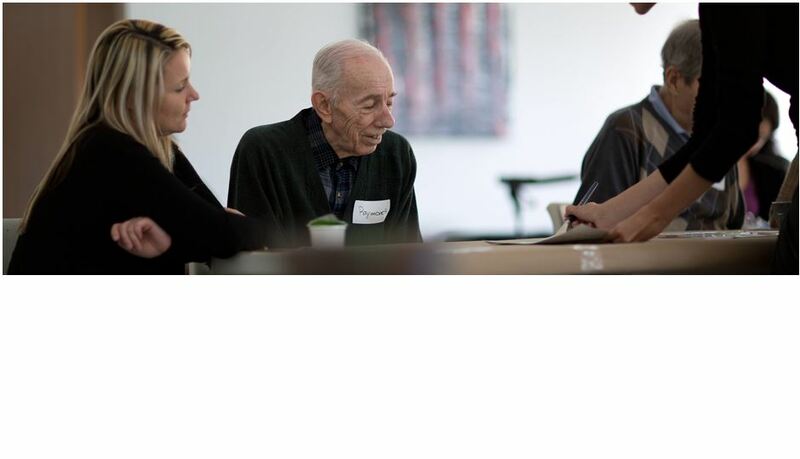 The Art Gallery of Hamilton is proud to have partnered with St. Peter’s Hospital and Foundation for Artful Moments, a unique program that makes art more accessible, experiential and enjoyable for people with dementia and their caregivers. Subsidies are available for those in need of financial assistance. Please email access@artgalleryofhamilton.com for details. STAFF: Please note that our program staff have training and experience in working with persons with dementia, however we will not be able to support participants with more advanced needs (such as toileting). For this reason, we strongly encourage participants to come with a support person. There will be no additional attendance charge for the support person. ACCESSIBILITY: Wheelchairs are available for participant use. Municipal Parking System Office for rates.